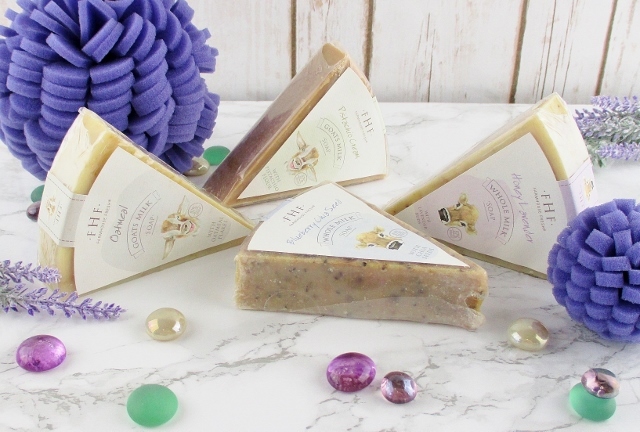 Pamper yourself or someone you love with adorable, hand poured soaps from Farmhouse Fresh. 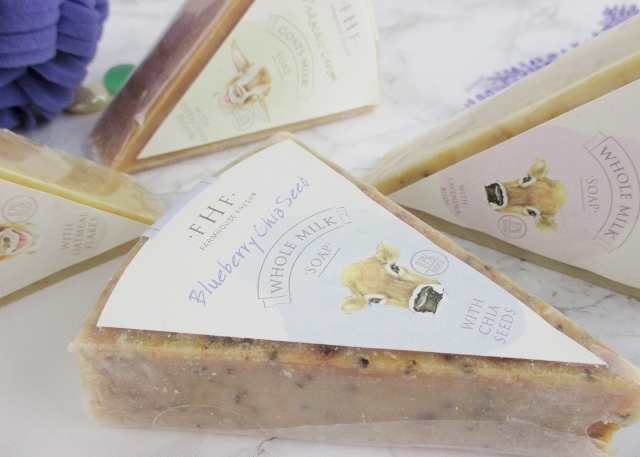 These bars of natural, whole milk soap look like wedges of artisanal cheeses and smell positively delicious! There are four delectable, natural scents and all of them are loaded with creamy, whole fat milk, natural, nourishing oils, fruit, nuts, seeds, oats and flowers that offer up a soft, cushioning lather that gently cleanse, lightly exfoliate and condition skin, leaving it feeling clean, soft and delicately scented. Oatmeal Goat's Milk Soap, $14.00 is made with milk from free range goats and real oatmeal. It smells sweet and rich and the oats are soothing and give skin a gentle scrub. Pistachio Cream Goats Milk Soap, $14.00. I am just nuts about this sweet, creamy, pistachio scented soap. Lavender Honey Whole Milk Soap, $14.00 is a heady blend of rich, sweet honey and fragrant lavender with natural flower buds. Blueberry Chia Seed Whole Milk Soap, $14.00. Sweet, West Coast blueberries and real chia seeds make this soap smell almost good enough to eat! My son, who absolutely loves everything and anything blueberry, came over shortly after I received these soaps and upon smelling them immediately laid claim to this one. I gave it to him after I finished taking these pictures and he has really been enjoying it. He likes how this soap cleans but never leaves his dry, sensitive skin stripped or irritated. 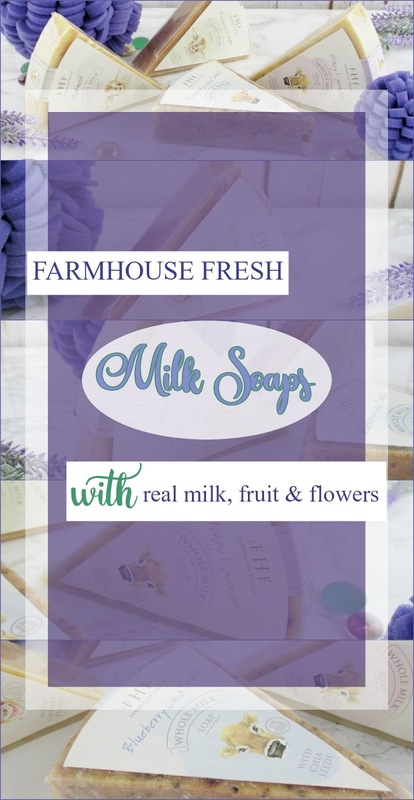 All of the Farmhouse Fresh Milk Soaps are cruelty free, formulated with 97% natural ingredients and are paraben, sulfate and gluten free. Connect with Farmhouse Fresh on Facebook, Twitter and Instagram. 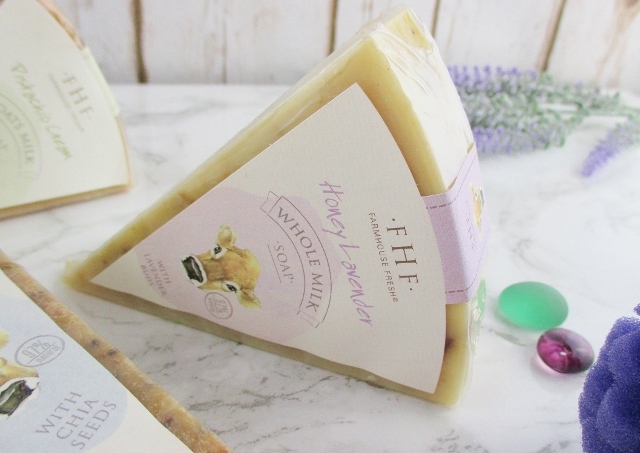 Are you as big a fan of Farmhouse Fresh goodies as I am? 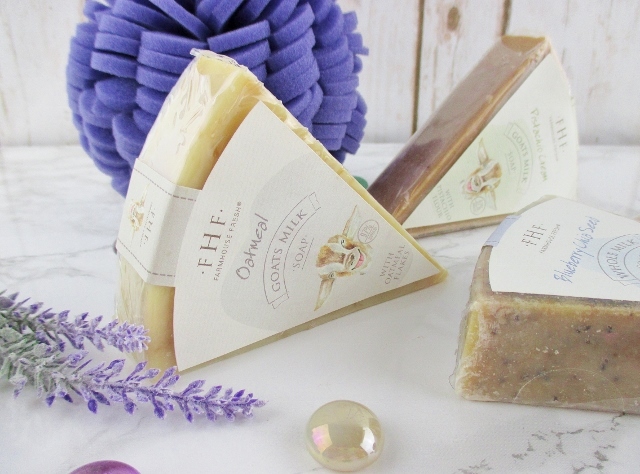 Have you tried these soaps? They look and sound really nice. Its cute that there shaped like that too. They sounds really nice and I like how there shaped too, its cute. 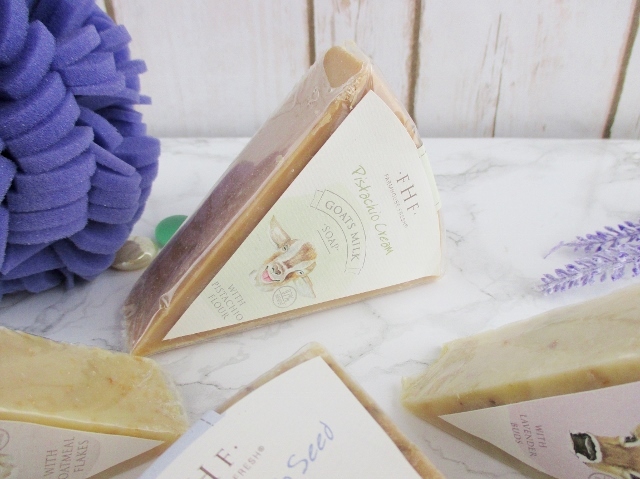 These cheese-shaped soaps smell so great! Unique gift idea! The pistachio one sounds like I'd love it. These are so unique. Hopefully guests won't eat them. I love these soaps, there are so moisturizing! I love the smell of goat's milk soaps. these would definitely be a favorite at my house.